The lifeguard stand -- great swimming beach steps away! 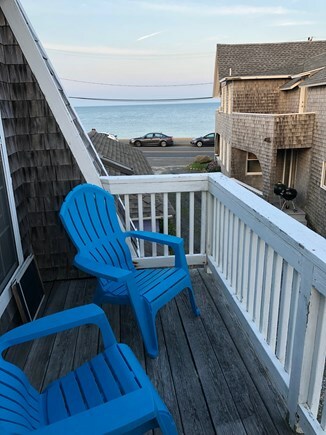 Steps from the beach and a short walk to the restaurants, shops, town, and the Oak Bluffs ferry docking, this home offers an upper balcony with views of the ocean and Farm Pond. ''The Nest'' is a perfectly situated guest house getaway for an individual, couple, or a couple and a younger child. The 2nd story bedroom is air conditioned with a window unit, and can be closed to cool off in the evening. The bedroom has its own porch, queen-sized bed, TV, with a tucked-away stacked washer/dryer. There is also a day-bed/twin in this shared sleeping area. Downstairs there is a round-table and chairs for dining, a rustic kitchen with new fridge, new gas range/stove, sink, plates, glasses, pots & pans, and a small but functional bathroom (shower, sink, toilet). There is a front deck that leads to a shared yard with the Main House (your front yard/their back yard), and off-street parking for one car, though the area is very walkable. Propane BBQ/grille set up outside for use as well. 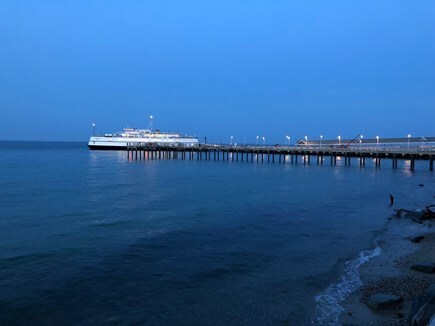 The Nest is a charming, affordable getaway if you want to be close to the water, the town/Inkwell Beach (the lifeguard stand is a few houses away), the bike path that runs along State Beach and into Edgartown, and all that Oak Bluffs' offers. Please keep in mind, there is no specific ''living room'' downstairs in the house (you can see the seating area for dining and the kitchen area in the photos), and tenants need to be respectful of neighbors, including occupants of the Main House (''Cutty's View'', also listed for rent on this site). The Nest can be rented along with the Main House (which has 4 bedrooms, two baths, its own outdoor shower, stunning views of the water from the 3-sided wraparound porches, fully facing the sea). Contact owner for (discounted) pricing and details if you're interested in using both properties. Additional availability info: flexible arrival/departure dates may be available. Additional pricing info: $150 cleaning fee, $750 deposit, discounts offered for multiple weeks (just ask! ), State and local taxes of 11.7% will apply. Loved nesting in The Nest! We were there 5 days last summer, had great weather and loved how close the house was to everything. We liked being tucked away but steps from the beach. Owner was easy to get on the phone and helpful as we’d never been to the Vineyard before. Neighborhood is great – feels ‘in town’/Oak Bluffs and you can walk to everything but on a quieter street. Go left and you’re at Inkwell (a great swimming and socializing beach). Go right and you can bike up the path to State Beach (we got week-long bike rentals in town). 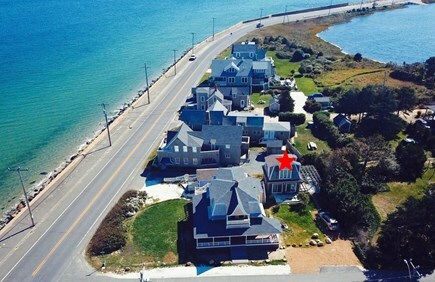 We are new to owning this gorgeous gem but long-time lovers of Oak Bluffs and the Vineyard. 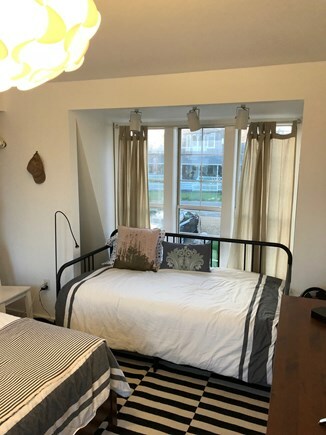 Happy to help you with advice about the area, which we think is the best spot on the best street (steps from a fantastic swimming beach, walking distance to town but in a more peaceful area). The house is walking distance not only from the restaurants and fun of town and the harbor, but also the OB ferry, and close to the bike path to Edgartown. Oak Bluffs has a rich history. It's casual, fun, inclusive, bustling. Loads to do both on the water and on land. We are steps from the famous ''Inkwell'' town beach and a bike ride up the town bike path to State Beach & Edgartown.